I’ve become quite a fan of Epic Brewing. And since my trip to Scotland I really like ales. 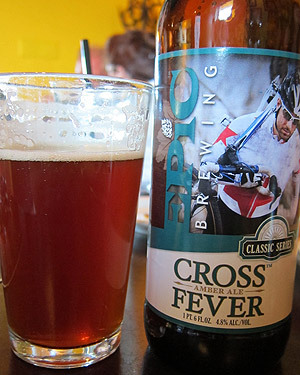 Following a round of golf I was happy to find that the club I was at carried Epic Brewing’s “Cross Fever” amber ale. This is a very tasty ale which I’m thrilled to report comes in a one pint size. I can relive my Scottish ales and have a “wee pint” just like in St. Andrews. Another winner by Epic. Try one if you get the chance.